At least 73 people were killed after a ruptured fuel pipeline exploded in central Mexico on Friday, January 18. Omar Fayad, the governor of the State of Hidalgo, said in a news conference in Mexico City on Saturday, January 19, that more than 74 people were injured, among which eight were under the age of 18. Some of the minors were sent to Shriners Hospital for Children in Galveston, Texas, Omar said. More than 85 other people are listed as missing after the massive fireball exploded at an illegal pipeline tap in Tlahuelilpan. 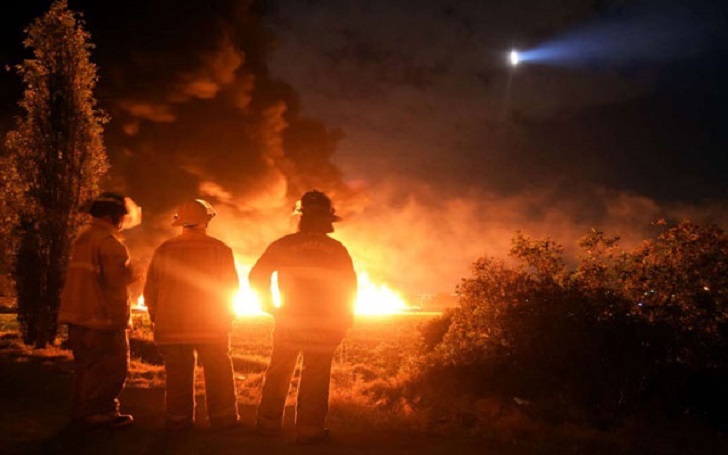 According to the authorities, a leaking fuel pipeline had been illegally tapped caused in a massive explosion in the central Hidalgo state in Mexico. A spokesperson for the state oil company Pennex (aka Petroleos Mexicanos), fuel thieves had drilled into the pipeline which caused the leak in the town. Noting that many people were reported to be around the pipeline, the general prosecutor of Mexico, Alejandro Gertz Manero, said the investigation has started but no arrests have been made yet. The people were reportedly wearing synthetic fibers cloths that could "generate electric reactions." The Mexico gasoline explosion comes two months after the California wildfire which left more than 63 people dead in November.